I read this article and found it very interesting, thought it might be something for you. The article is called NFL Star J.J Watt Rallies for Harvey Relief and is located at https://www.medalofphilanthropy.org/nfl-star-j-j-watt-rallies-harvey-relief/. 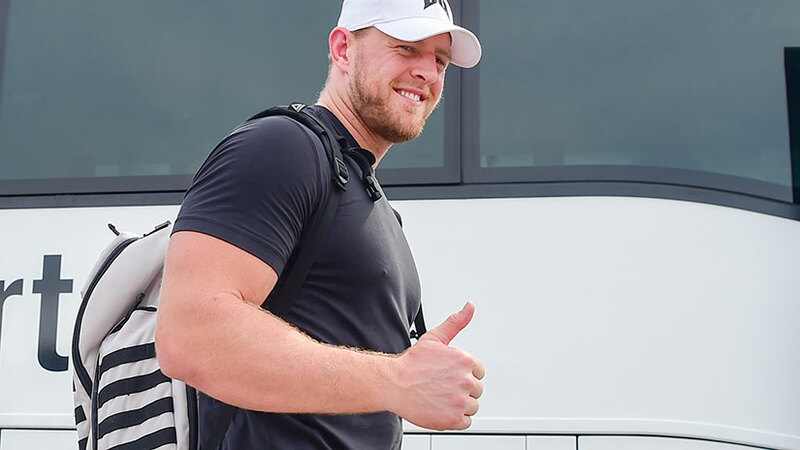 J.J. Watt of the NFL’s Houston Texans is best known for sacking quarterbacks and being one of the best defensive players in the league. And while he’s won a lot of awards, including the NFL Defensive Player of the Year (three times, no less!) his ambition is equally impressive off of the gridiron. Just after Hurricane Harvey hit Houston, Watt set up a YouCaring.com fundraiser, with the goal of raising $200,000 for relief funds from small donors around the country Watt, per usual, exceeded expectations. Individuals, foundations, and corporations eventually raised over $37 million from more than 200,000 donors. While this staggering amount is just a small portion of what’s needed for hurricane recovery, this gift will assist many of those in need through partnerships with Americares, Feeding America, SBP, and Save the Children. The donation will be distributed in two portions, $31.5 million will be given to these partners to rebuild homes, help restore community centers and childcare, provide food, and address health needs of Houstonians. With a portion of the funds contributed to Feeding America, Houston Food Bank will be able to add four mobile pantries to its fleet, enabling them to take supplies to where they’re needed most. The remaining funds will be distributed in 2018. Watt’s goal of raising money from the community for the community was just the start and he’s making sure the funding goes to organizations that will have a direct impact on those who need it most.